I just started quietly one day, in my mid-thirties. I used to listen to the afternoon play on Radio 4 when I was driving to pick up my kids from school and I just wondered if I could write one, so I did. It was rubbish, alas, but it did get me started. I tried plays and short stories first. A novel seemed a natural progression. I wanted to challenge myself, to see if I could do it. I wrote two novels which were rejected by every agent and publisher I sent them to. It was third time lucky with my YA novel, Numbers. The first publisher I sent it to snapped it up. 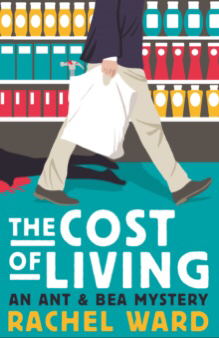 The Cost of Living is my first novel for adults. I’m not sure why I’ve started something new – I think I’m just lead by the story and the characters that pop into my head. As soon as I started writing this one, I knew it wasn’t YA. Hmm, that’s a very tricky question. I should think everything I’ve ever read has influenced me in one way or another. I don’t ever really think about my writing style. I know I’m not particularly literary and that my books are easy to read, but it’s not a conscious thing – it’s just how the words come out! I’m so fond of this set of characters. I absolutely love them and I love spending time with them. 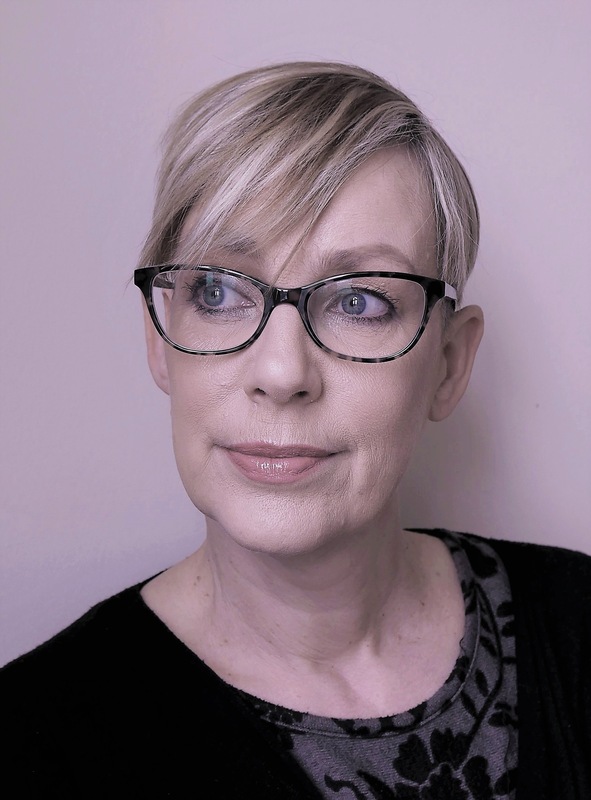 When I was writing the book, I had a couple of breaks due to domestic circumstances and it was so nice to pick up where I’d left off – it’s like spending time with friends. It too difficult to pick a favourite, although I love my main characters, Ant and Bea, very much and am very excited to see what might happen to them in the future. I’m the laziest person in the world when it comes to research. The beautiful thing about writing a book based in and around a supermarket is that every boring food shopping trip becomes research. I try to chat to the checkout workers to get useful bits of information and I like observing the other customers and what’s going on. They are not specifically based on real life people but sometimes they are amalgams of people. I often make notes about people I see in real life or on TV, for future reference. 8. What made you decide to turn to writing crime novels? I’ve always read a lot of crime, but for the past two years, that’s pretty much all I’ve read. I don’t know why it took me so long to think of writing a crime novel myself, but once I’d found Bea, my main character, it was an absolute joy to write this sort of crime story, which, although contemporary and with a bit of a dark thread running through it, is on the cosy end of the scale. I think it’s almost impossible to know how much of yourself you are putting into your characters. I’m quite calm, quite self-contained, which wouldn’t make for very good reading, I think. My characters are more sociable and more fun than me! 10. If you can, would you give us a sneaky peak into any future novels you might planned. 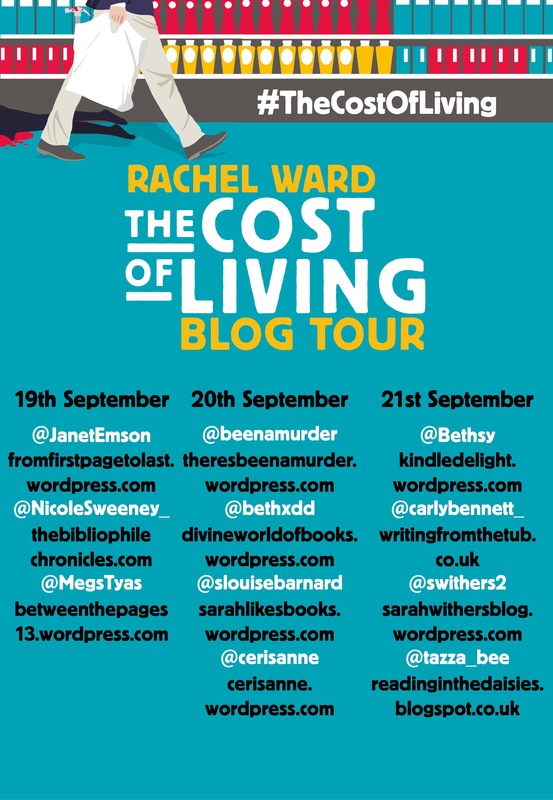 I’ve started writing a sequel to The Cost of Living. I’m about half way and have a title all ready. I’ve got three or four more Ant and Bea plots in my head, and I would love it if I got the chance to write them. Writing Ant and Bea stories is my current ‘happy place’. I’m a huge Henning Mankell fan and was terribly upset when he died in 2015. I would have liked to have seen him in real life, although I probably would have been too shy to talk to him, let alone write with him. There are lots of living writers that I admire. I love Ann Cleeves’ characters and the worlds she creates, and so it would be a joy to write with, and learn from, her. Write what you would like to read. Write what makes you happy or fulfils some sort of need in you. Make notes of plot ideas, or observations as you go about your daily business. I used to keep a notebook to hand, but now I jot down notes on my phone. Try reading your work out loud (to an empty room, or an obliging cat or dog – I’ve got a long-suffering collie cross). It really helps to locate problem areas in your text and things that need fixing.